There’s a new low-cost single-board computer on the block designed to give the million-selling Raspberry Pi a run for its money. The BeagleBoard Black computer was announced Tuesday by BeagleBoard.org. Not only does this generation of the single-board offering pack more power, but it’s selling for half the price of its predecessor—$45. That price plus processor and memory upgrades make the unit competitive with Raspberry Pi models that sell for $25 and $35, depending on configuration. “These are wonderful for hackers,” BeagleBone enthusiast Matt Richardson, of Brooklyn, N.Y. told PCWorld. With the new pricing, you don’t have to worry about swapping out computers between projects, he explained. Moreover, you don’t have to worry about mistakes. “When the boards were more expensive, it takes away fearlessness,” Richardson said. 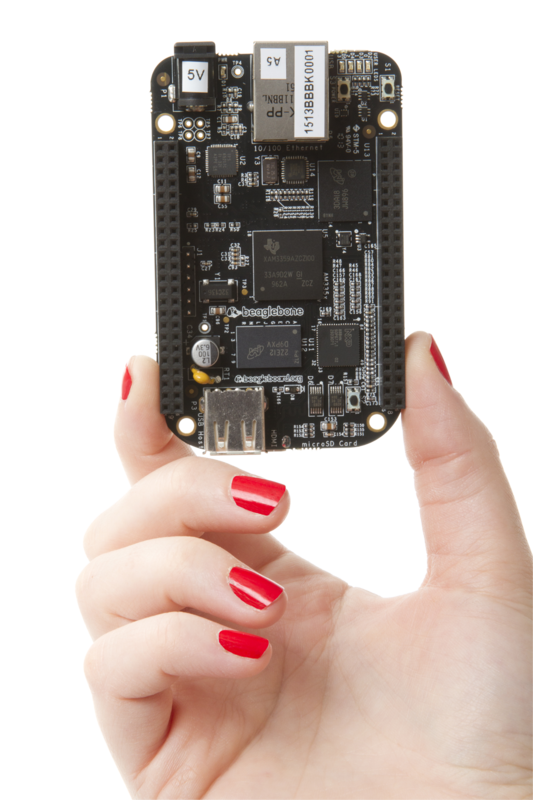 What’s inside the BeagleBone Black? The unit includes 2GB of on-board storage to run pre-loaded Linux software, 512MB of DDR3 RAM, as well as a USB cable to power the board. With USB, ethernet, and HDMI interfaces, the board computer can connect to a wide variety of devices such as a mouse, keyboard, or LCD display. Digital tinkerers are also given lots of flexibility through expansion headers, including 65 digital I/Os, seven analog inputs, and access to a variety of analog and digital peripherals. The unit is also a totally open-source computer. Like open-source software, open-source hardware designs can be applied to commercial applications without worrying about paying licensing fees. “That really makes this computer stand out,” said BeagelBone.org’s Kridner. “Not only is it cheaper to own, but there are no barriers as far as what you can do with it,” he said. Since its introduction, the BeagleBoard has been used in numerous applications from creating 3D printers to running an underwater exploration vehicle used for treasure hunting. It’s also been used for robot applications. “It’s so affordable, you can drop it into a robot project and forget it because you can buy another one for your next project,” Kridner said.